It’s not often you get to watch a sports star grow up before your eyes. Dale Earnhardt Jr. is an exception. For thousands of NASCAR® fans, Dale Jr. isn’t just a driver they cheer for on Sundays. He has become a member of their extended family. From winning the All-Star Race in his rookie season to his second DAYTONA 500® victory in 2014, Earnhardt has given JR Nation some incredible memories. Now he’s giving them one more. On November 19, 2017 at Homestead-Miami Speedway, Earnhardt will take the track one last time as a full-time NASCAR® driver. This is the paint scheme he chose to drive. Introducing the No. 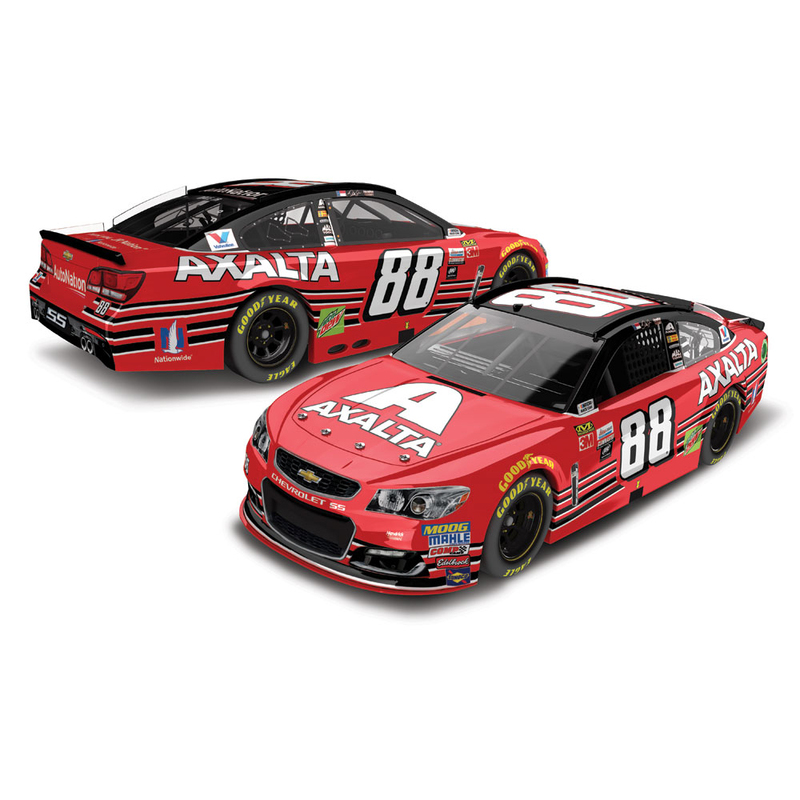 88 Axalta Last Ride Chevrolet SS – a race car that captures it all with one incredible design. From the famous red paint job to the familiar stripes down the sides, this is the car his fans have been waiting for and it’s going to be a die-cast they won’t want to miss. Built in both 1:24 and 1:64 scales by Lionel Racing, each of these officially licensed die-cast is the perfect collectible tribute to NASCAR’s Most Popular Driver. Each car is produced with authentic details like rolling Goodyear tires, hand-applied decals, and a driver side window net. Each is packaged in a special Dale Jr. Last Ride window box emblazoned with the JR Nation Apprecia88ion Tour logo. A JR Nation Apprecia88ion tour sticker also ships with each 1:24 scale order. Get the die-cast that celebrates Dale Jr.’s amazing career and everything he has meant to the JR Nation family. The order arrived on time and in perfect condition. It is still in the original box as it is being added to a display of Dale Jr race win and non race win vehicles. Had to have Dale Jrs last ride for the display.